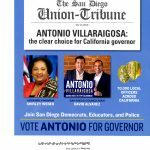 Antonio Ramón Villaraigosa (/ˌviːəraɪˈɡoʊsə/; né Villar Jr.; January 23, 1953) is an American politician who served as the 41st Mayor of Los Angeles, California, from 2005 to 2013. Before becoming mayor, he was a member of the California State Assembly (1994–2000), where he served as the Democratic leader of the Assembly (1996–98), and the Speaker of the California State Assembly (1998–2000). 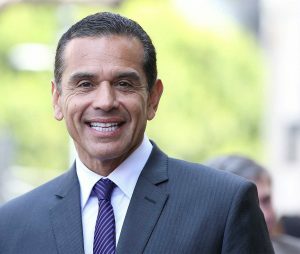 Villaraigosa is a member of the Democratic Party, and was a national co-chairman of Hillary Clinton’s 2008 presidential campaign, a member of President Barack Obama‘s Transition Economic Advisory Board, and Chairman of the 2012 Democratic National Convention in September 2012. 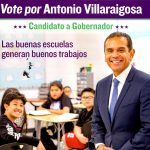 In November 2016, Villaraigosa announced his candidacy for Governor of California in 2018.